Have you ever tasted wine in a hippie shack? Well, last weekend my husband and I did just that! 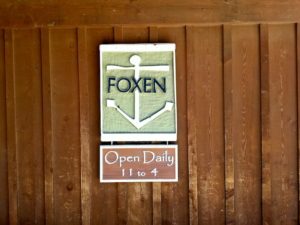 While visiting the fabulous Santa Barbara wine country, we knew from past experience that Foxen (one of the pioneer wineries of the area) was a must visit. Good thing we stopped, because it ended up being our favorite wine experience of the trip. 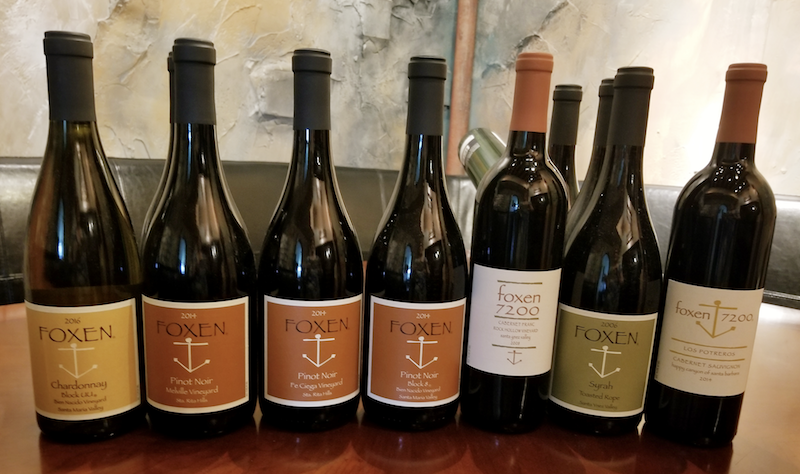 Foxen Vineyard Winery is two … two wineries in one! Well, two wine tasting experiences anyway. 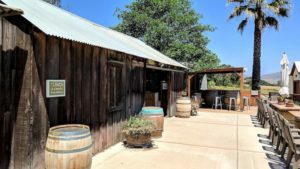 They have “The Shack”, their original tasting room. Here they pour their Bordeaux and Cali-Ital style wines in a fun, funky atmosphere where I personally could hang out all day long. 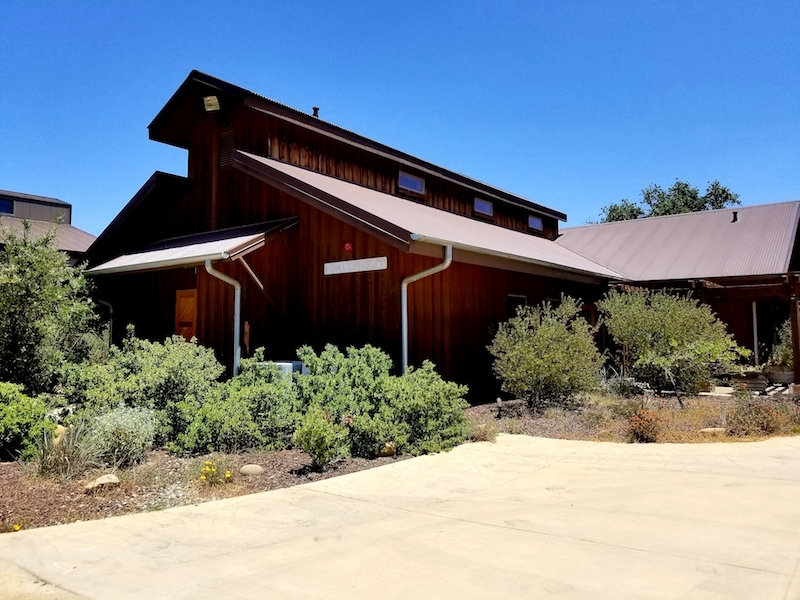 My favorite wine in “The Shack” was the 2014 Los Potreros Cabernet Sauvignon from the Happy Canyon AVA. 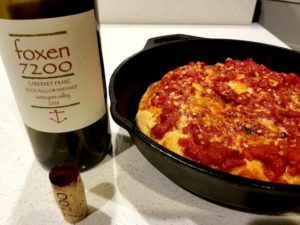 This 100% Cab Sauv has lots of dark fruit, along with some licorice and pepper. I bought a bottle of this to put away in the cellar for a few years. A hop, skip and a jump away is a completely different Foxen world! Here lies their state-of-the-art solar-powered facility that is modern, classy, and home to some “foxen” fabulous wine! 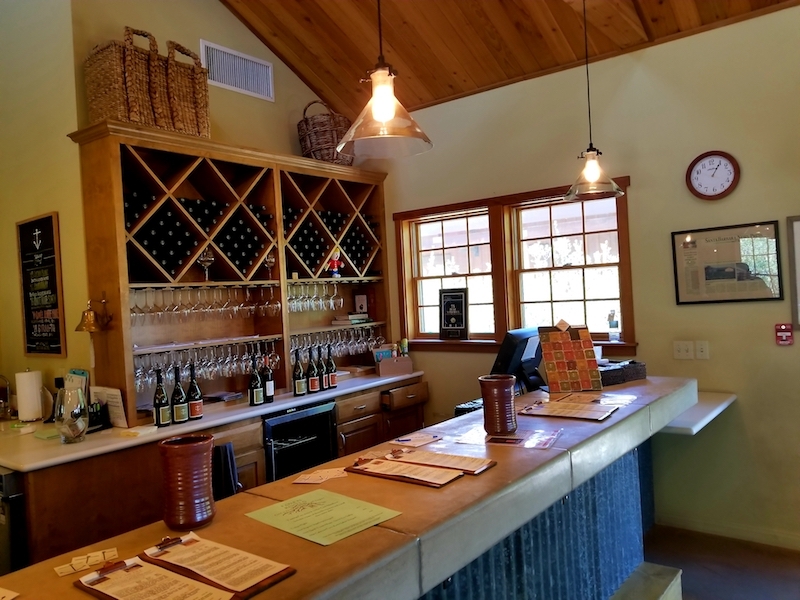 This is where they pour their tasty Rhône inspired and outstanding Burgundian varietal wines. A lover of Burgundy, I’m darned picky when it comes to Pinot Noir. 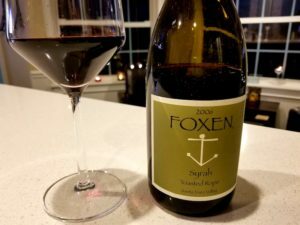 Not many New World Pinots rock my boat, but there is just something about the Foxen Pinots that get me going. They’re truly special! My favorites were the ’14 Melville Vineyard (still a baby, but this has lots of tart cranberry and a wonderful herbal quality), the ’14 Block 8 from the famous Bien Nacido Vineyard (with ripe plum and a nose of roses!) and my personal favorite the ’14 Fe Ciego Vineyard (with strawberry, cranberry and some lovely earthiness). I also enjoyed their ’16 Block UU Bien Nacido Chardonnay. This Chard has orange blossom, ripe peach, lemon and great minerality. And then … there was more! They were offering a library tasting of some really fun wines. 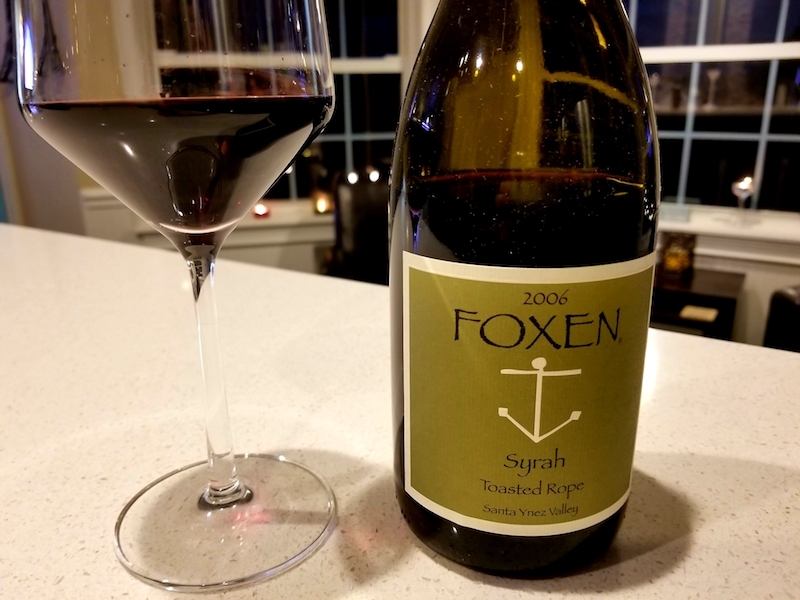 We cleaned them out of their 2006 Toasted Rope Syrah. 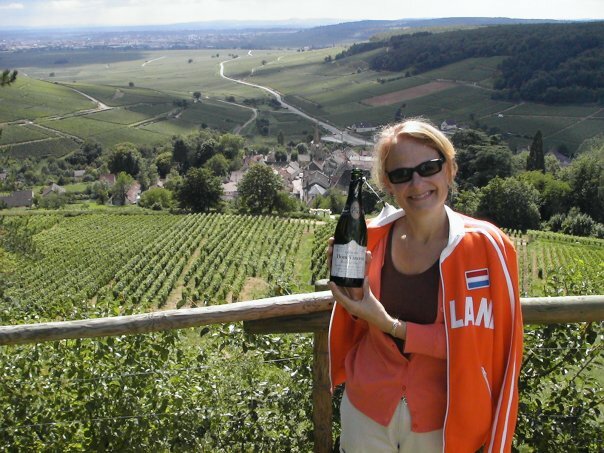 In true Northern Rhône style, the winemaker blended in Viognier (15%!). Wow! I love it. It has lots of olive, smoky meat and there is still nice dark fruit on the palate. We also grabbed a couple of the ’08 Rock Hollow Cabernet Franc. I opened a bottle the other night and paired it with a Grandma’s Pie (pizza in a pan) and kale salad! It was fabulous! 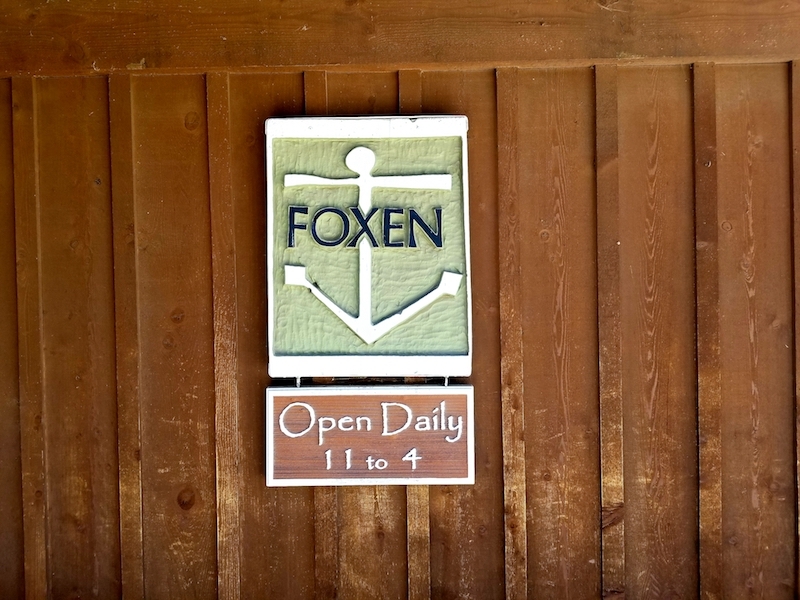 The next time you are anywhere near Santa Barbara, be sure to head to the gorgeous 2000 acre ranch property of Foxen Vineyard Winery. The views are lovely, the people are friendly, and the wine rocks!!! !